Engadget claims that the YotaPhone 3 will have a Snapdragon 625 processor, which would make sense for the device's price point. The front screen will be a 1080p 5.5"
Details are rather scarce at the moment, but we do know there will be 64GB and 128GB models, priced at about $350 and $450 respectively. One source reports that the phone will ship in China in September, and pre-orders in Russia will start around that time. Judging by Yota Devices' previous track record, a North American release will probably come later than that (if at all). 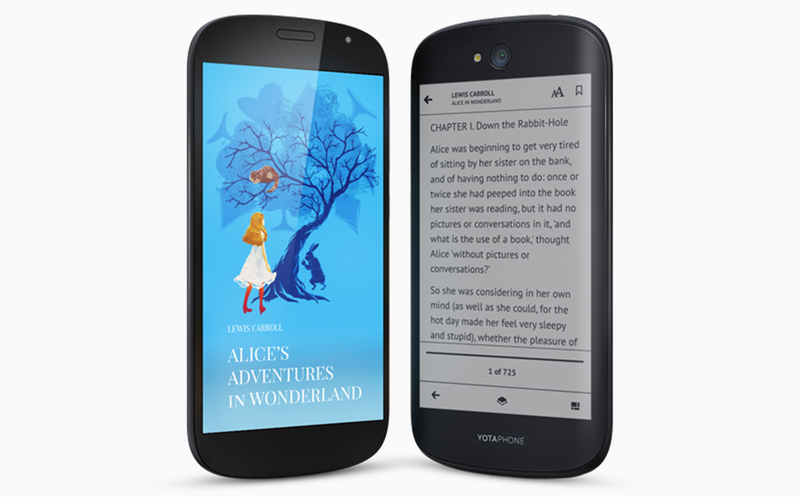 Hopefully we'll learn more about the YotaPhone 3 soon. Engadget claims that the YotaPhone 3 will have a Snapdragon 625 processor, which would make sense for the device's price point. The front screen will be a 1080p 5.5" display, with a 5.2" 720p e-ink display on the back. The phone will also have 4GB of RAM, dual SIM slots (one of thm can also be a microSD card slot), a 12MP back camera, a 13MP front camera, a 3,200mAh battery, and a USB Type-C port.